Climax Blues Band shows in Nantwich, Scarborough and Poynton are sold out! Please contact the venue to add your name to the waiting list or see us… We hate to disappoint our fans but we believe that tickets are still available for our shows in Lichfield, Birmingham, Leek, Newport, Leicester, Cleethorpes, Durham and Canterbury. The other news is that Walter Trout will be headlining the Leicester Blues, Rhythm and Rock Festival at the Leicester Arena on June 3, 2018! 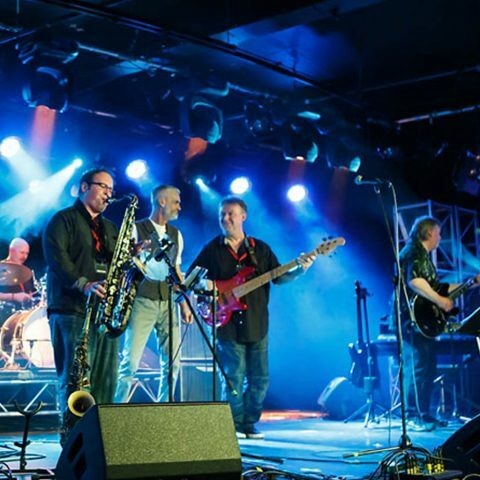 George Glover has been at the keyboards in Climax since 1981, very much part of the nucleus of the band, Lester Hunt on guitar joined in 1986, drummer Roy Adams in 1987 and Neil Simpson on bass in the early 90s. This solid unit has flown the Climax flag with tremendous passion and style. Now there is a spring in their step, taking the band forward and already pleasing crowds throughout Europe, the ‘seamless’ transition in carrying on creating the unique Climax sound is the result of hard work, disguised by a band having a great time making music….